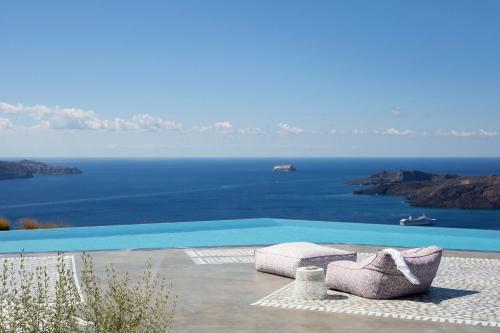 Perched on a cliff overlooking the Caldera, Erosantorini covers an area of 8.000 m2 in Fira and features an infinity pool and terraces with outdoor seating area and day beds. It offers suites with outdoor whirlpool or heated pool and also includes a private chapel, a wine cellar and an open-air cinema. Enjoying views over the Caldera, the units at Erosantorini are fitted with radiant heated floors, floating fireplaces, Frette bed linen and a pillow menu. Each comes with a Nespresso coffee machine a 40'' LCD TV, Bluetooth speakers, safety deposit boxes and WiFi access. 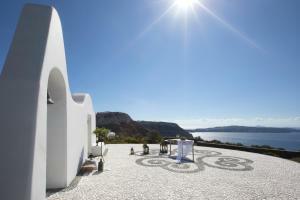 The scenic Oia is 8.7 mi from Erosantorini, while Ormos Athinios Port is at a distance of 3.7 mi. 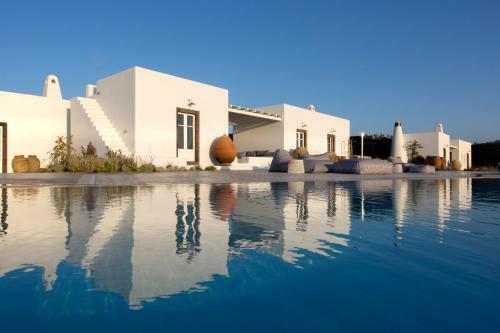 Santorini International Airport is 3.1 mi from the property. 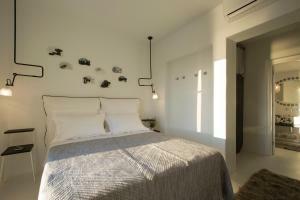 When would you like to stay at Erosantorini? Boasting a terrace with outdoor whirlpool and Caldera view, this suite has a floating fireplace and an outdoor shaded seating area. 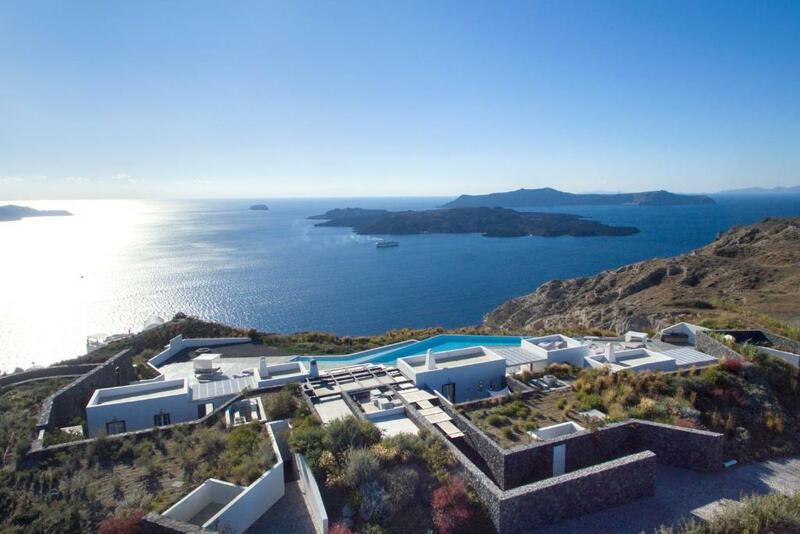 Offering views over the stunning Caldera and the Aegean Sea, this suite has a rooftop terrace, a floating fireplace and an outdoor shaded living area with heated Whirlpool. It also includes a bedroom on the upper level and a bathroom with cave-style bathtub. Boasting a 45-m2 private terrace with an outdoor whirlpool and Caldera view, this suite includes a treatment room, a marble hammam and an emotional shower. A floating fireplace is also featured. Boasting an outdoor heated pool and a 97-m2 terrace with Caldera view, this suite consists of 2 adjacent suites and 2 bathrooms with shower. A floating fireplace and outdoor shaded living areas are available. Boasting an infinity pool and a cave-style pool, this estate consists of 5 independent suites each with a spacious terrace with whirlpools and Caldera views. It also includes massage & beauty treatment room, a marble hammam and an emotional shower. 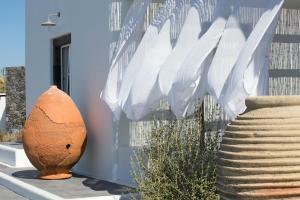 A unique vision of hospitality has come to life on Santorini, one of the most cherished islands in the world! A vacation experience that is truly meaningful and unforgettable, like none you have known before. Escaping to a place where you feel immediately at home. On a breathtaking hilltop high above the tranquil sea, you are welcomed like family and pampered as a cherished guest. From the moment you arrive and throughout your stay, EROSANTORINI’s resident hosts are on hand to make your every desire a reality and extend a memorable stay for you. ARCHEOLOGICAL TOURS Get to the heart of Santorini’s historic intrigue with a guided visit to the archeological site of Akrotiri, and wander through the well-preserved ruins of a Minoan city destroyed by the volcano. On the island’s eastern coast, the site of ancient Thira is also a draw for archeology buffs, and an excursion to the impressive Museum of Prehistoric Thira. SUNSET CRUISES Set sail on a private luxury yacht VINEYARD TOUR Tour the vineyards of Santorini’s most acclaimed winemaker, and learn the history, traditions, and unique characteristics of Santorini winemaking and terroir. 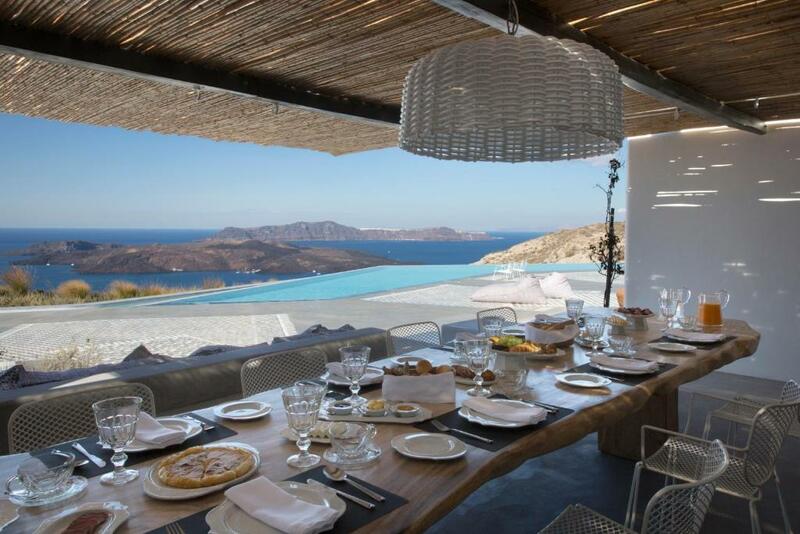 House Rules Erosantorini takes special requests – add in the next step! Erosantorini accepts these cards and reserves the right to temporarily hold an amount prior to arrival. We need at least 5 reviews before we can calculate a review score. 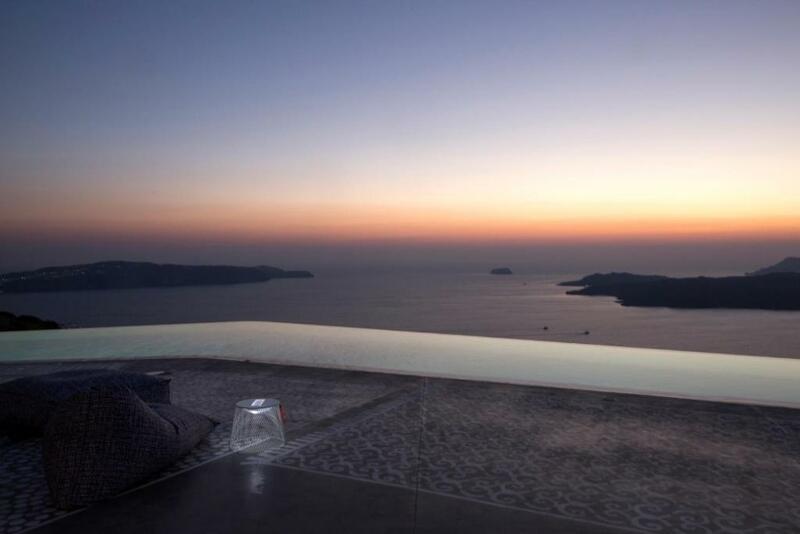 If you book and review your stay, you can help Erosantorini meet this goal.